? 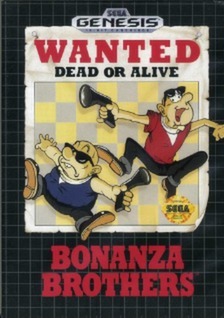 Bonanza Brothers Wanted Dead Alive (Sega Genesis 1991) Bros Game Cart Works ? BONANZA BROTHERS Sega Genesis cartridge only Disassembled & Cleaned TESTED Bros.